The Supremes released two albums in 1970, both produced by Frank Wilson. This is the second. It is quite a varied, adventurous album in places, as Wilson looks to break out from the grip of Holland-Dozier-Holland and change musical directions, slightly. The opener, "Together We Can Make Such Sweet Music" is an underrated Motown classic, with a killer hook and singalong refrain. Now talking of Motown classics, what about the next track, "Stoned Love", here on the album with its little played slow tempo vocal intro. It kicks into a glorious thumping Motown beat. 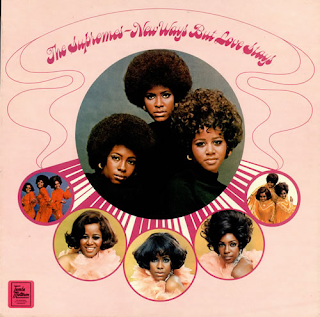 Possibly the best track The Supremes, in this incarnation, ever recorded. The vocals, the backing, everything about it is superb. Rightfully, it was a huge hit. The album version also contains extended saxophone in the middle too. "It's Time To Break Down" is a slightly jazzy, but still pulsatingly Motown number, with some excellent buzzy guitar and infectious percussion. It has echoes of The Temptations' "psychedelic soul" in its backing. 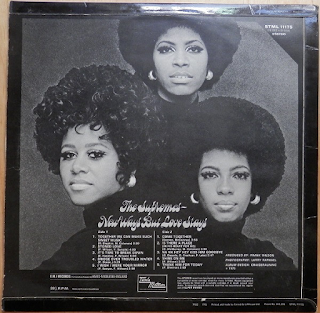 Similarly backed is the girls' cover of "Bridge Over Troubled Water", which actually comes off. It has the gospelly voices that you feel the song always suited best anyway. Those buzzy guitar parts are simply sublime. Check out the bit just before the "when you're down and out" bit. This cover is as it should be - a new, inventive reinterpretation and it works really well. It is one of the best versions of the song. 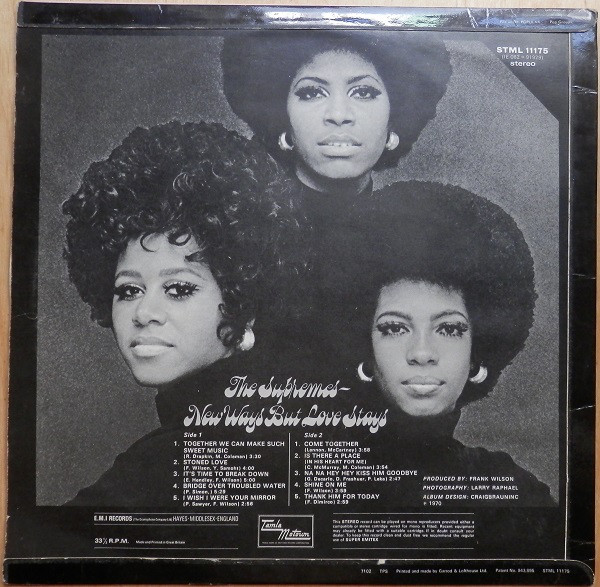 "I Wish I Were Your Mirror" is a funky, typically upbeat early seventies Motown number, with a great lead vocal and that pounding tambourine and drum backing. Similar to "Bridge Over Troubled Water", The Beatles' "Come Together" is done convincingly, the shuffling groove suiting the vocals, together with some buzzy guitar again and clavinet. "Is There a Place (In His Heart For Me)" is a syrupy, string-backed slow late-night ballad, one or two of which populated most of these early seventies Motown albums. Steam's hit "Na Na Hey Hey Kiss Him Goodbye" doesn't quite come off as well as the other covers. It doesn't quite suite the group, in my opinion, although it is catchy and rhythmic enough. "Shine On Me" is an infectious, typically Motown song, with a psychedelic-influenced ending while "Thank Him For Today" closes the album in a punchy, lively, bassy style. The sound quality on the album is excellent too. Full, warm Motown stereo sound. This was not a bad album at all. Worthy of a quick half an hour every now and again.